Choose your ride distance on Step 2. Register up to 5 people in one transaction. 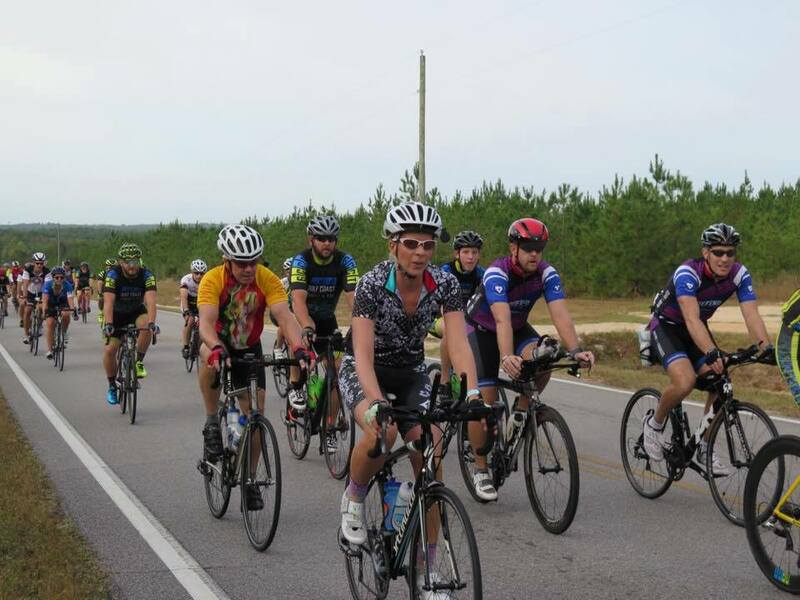 100, 62, 42, and 18-mile options through the Blackwater State Forest. 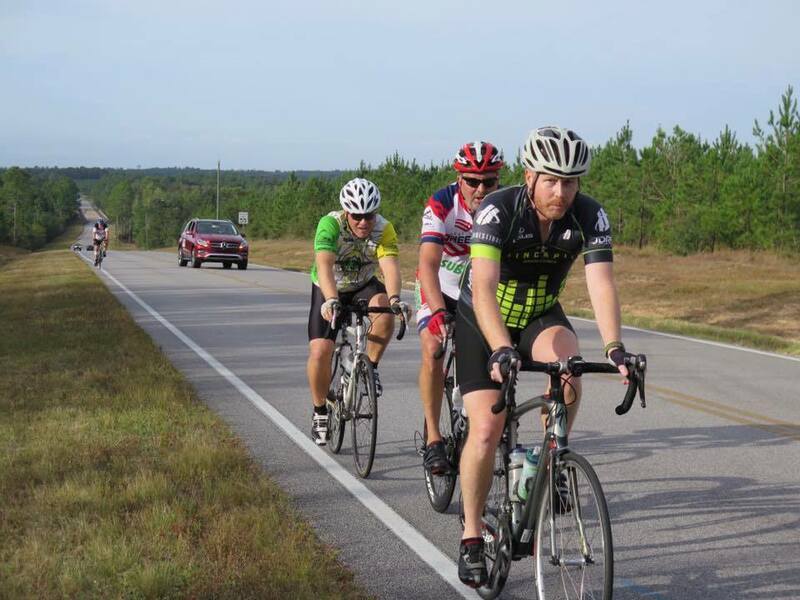 A portion of the ride will be on the Blackwater State Heritage Trail (selected as one of Florida's most scenic greenways). The 100/62/42-mile routes include some challenging hills, while the 18-mile is entirely on the rails to trails. All routes include rest stops and a well-marked course. Limited on-route sag support will be available. No map required for 18 mile course. 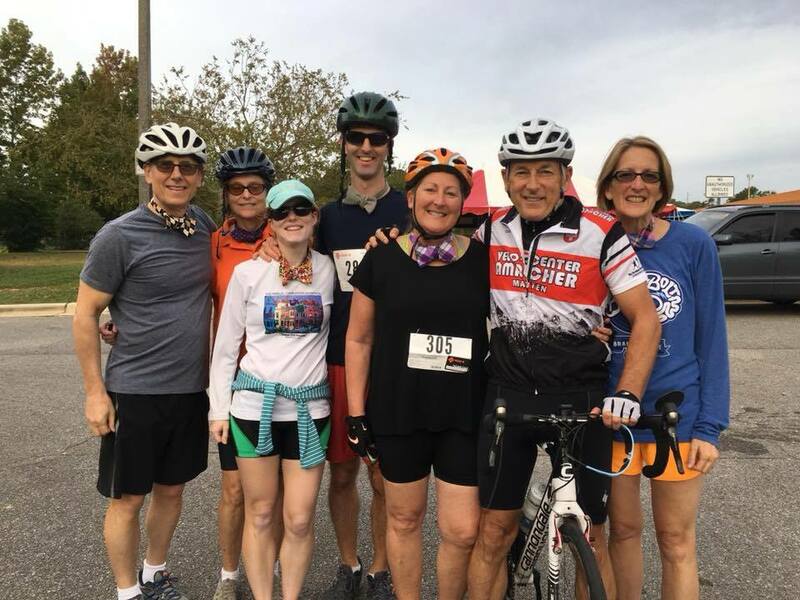 Riders may register by mail postmarked no later than 10/17/18 or via GetMeRegistered.com. Early Registration is $45, by 10/17/18, thereafter $55. Registration includes: event give away, fully supported rest stops, limited sag support, post-ride meal, and great prize opportunities, medals for those riding 100 miles. Day-of-ride registration begins at 6:30 a.m. Ride begins at 7:30 a.m. for those riding 100 miles only and 8 a.m. for all others. Pre-registered riders, October 19 at Academy Sports and Outdoors, 7171 N. Davis Hwy. Noon - 7:00 p.m.
For rider safety, the ride may be delayed, shortened, or canceled due to inclement weather. Because of the charitable nature of this event, no refunds will be given. The ride begins and finishes at the Guy Thompson Community Center. From Hwy. 90 West, turn left onto Stewart Street (SR 87). Go 0.6 miles to Park Avenue. (Milton High School and an airplane on the corner). Turn left. Go 0.10 miles and turn right onto Byrom St. (behind Milton High School). Go 0.6 miles to Milton Community Center on the left. When this page loaded, the official time was 6:54:57 PM EDT.